Novell is primarily a precious metal company. 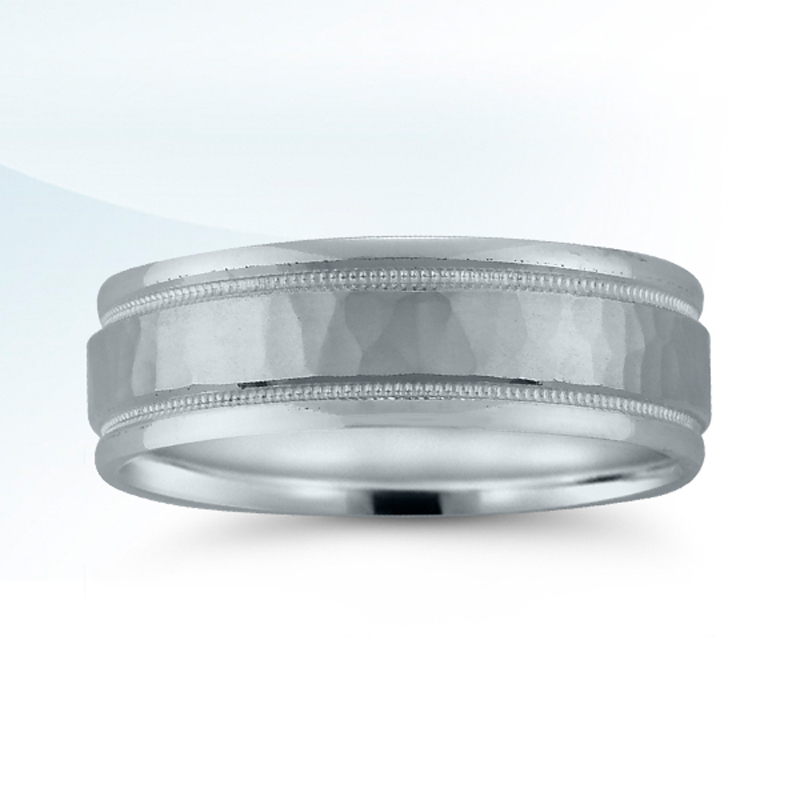 Almost all our designs are available in platinum, palladium, gold and Argentium Silver. 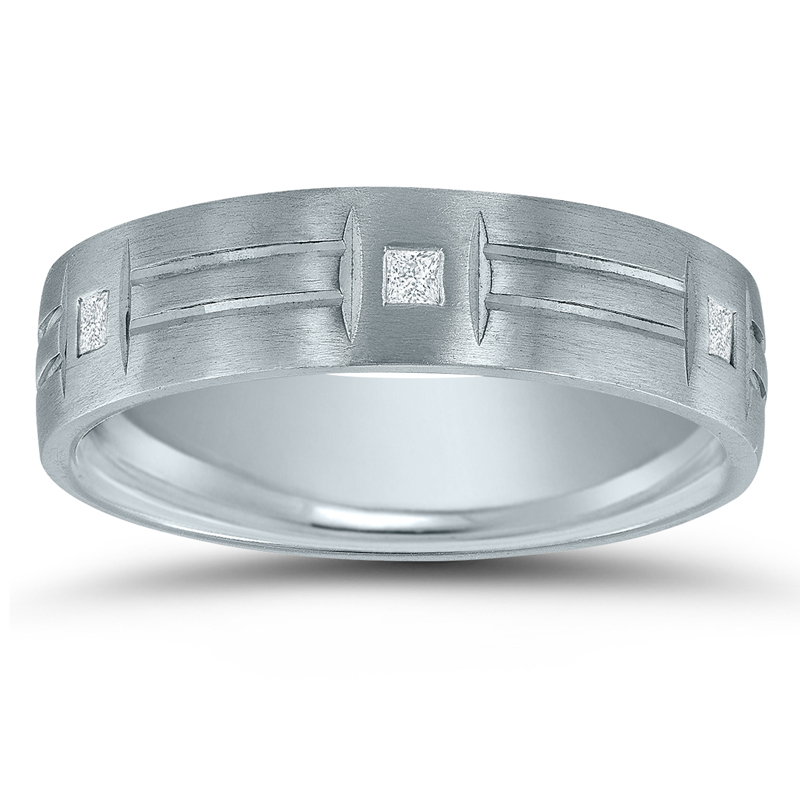 But we also understand that there are plenty of other metal choices out there. We’ve made the following chart to help you compare the characteristics of platinum, palladium, gold, tungsten, titanium and cobalt. 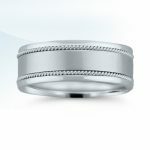 Plus, we’ve added a few other factors to consider when choosing the metal that’s right for you. 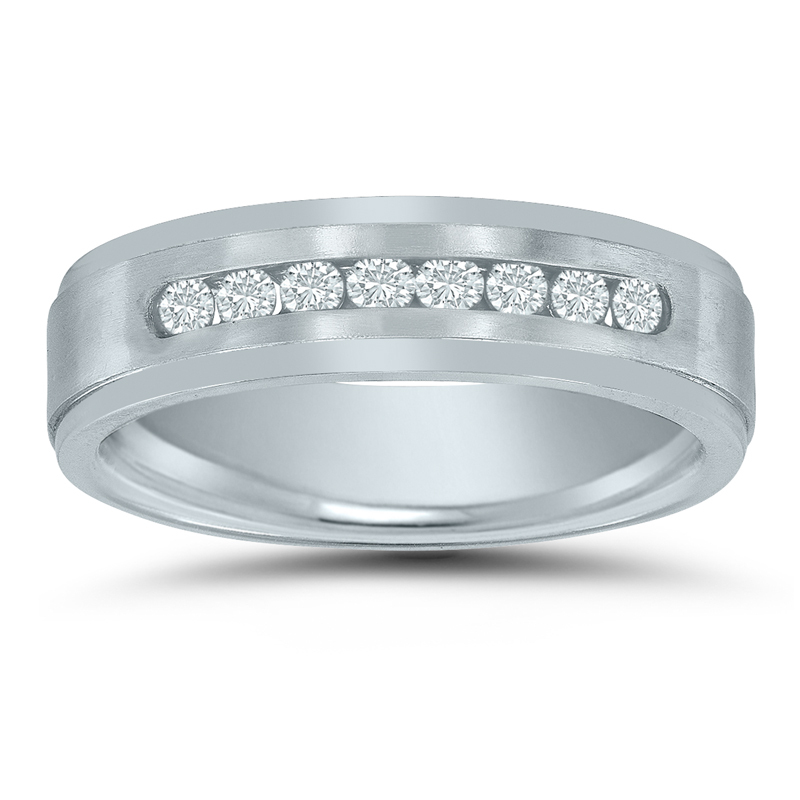 Keep in mind that precious metals can be resized and refinished. 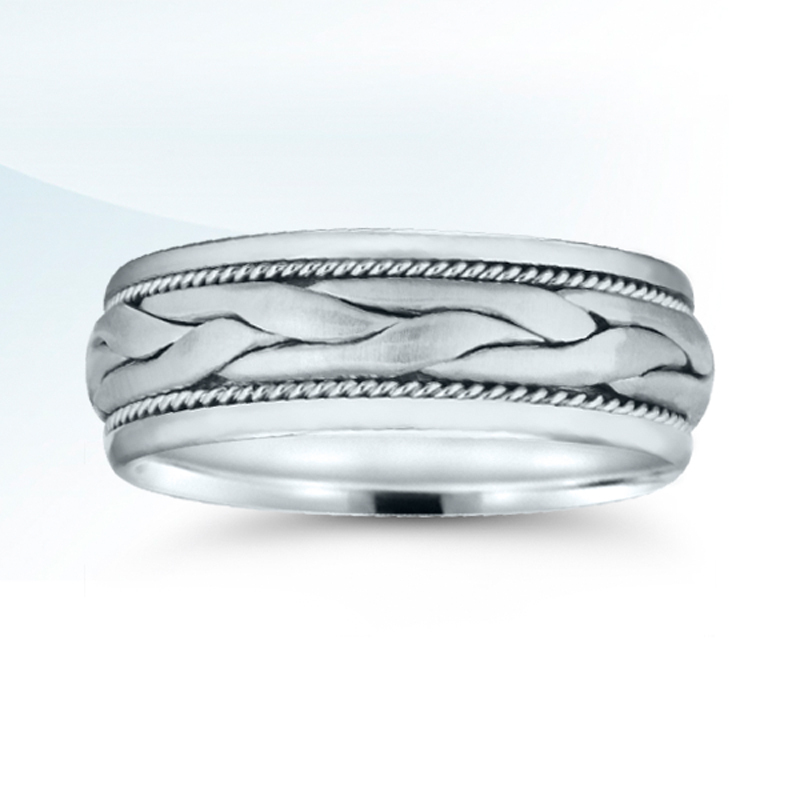 Popular alternative metals cannot. 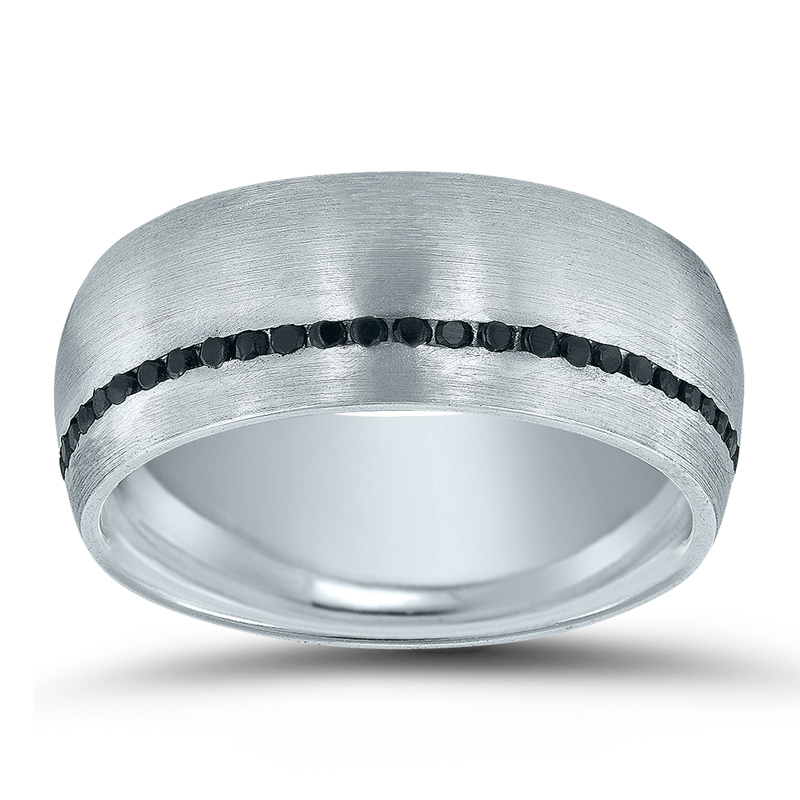 And tungsten can also crack or shatter. 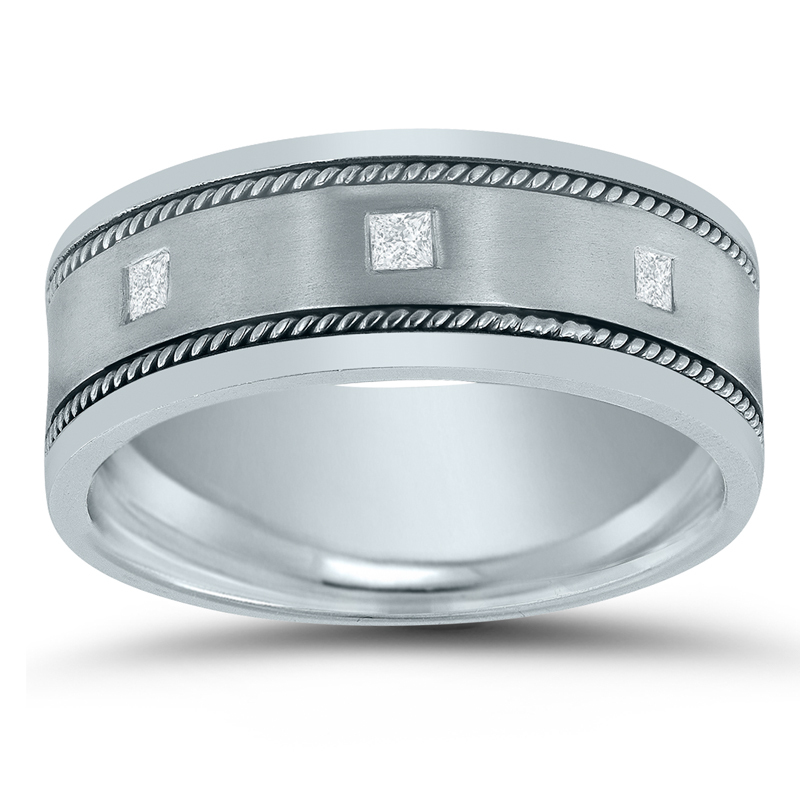 Quite simply, platinum is one of the earth’s rarest elements. 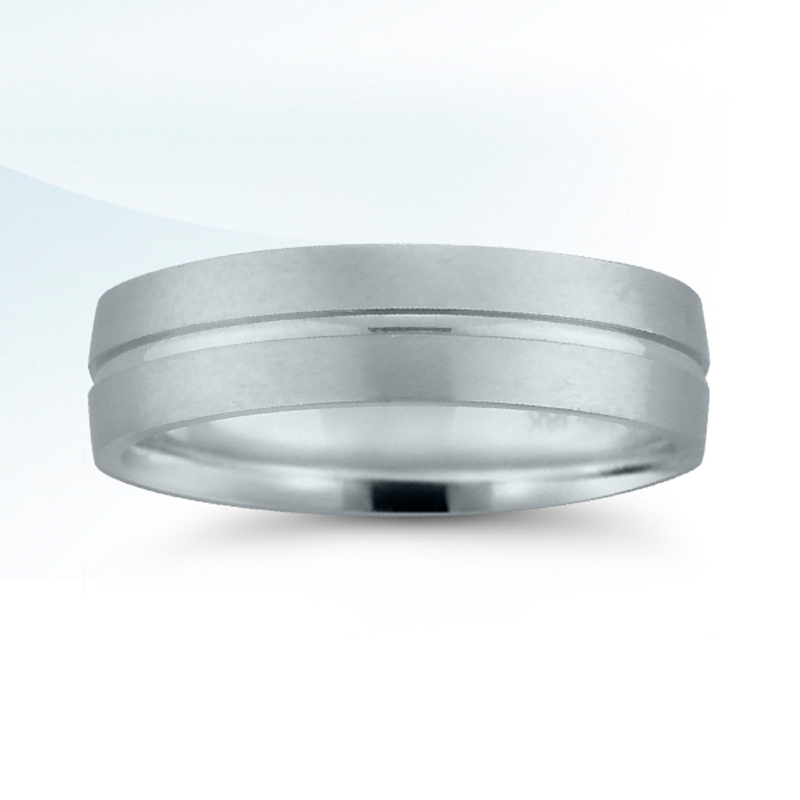 Its naturally white color will not oxidize or decay over time. 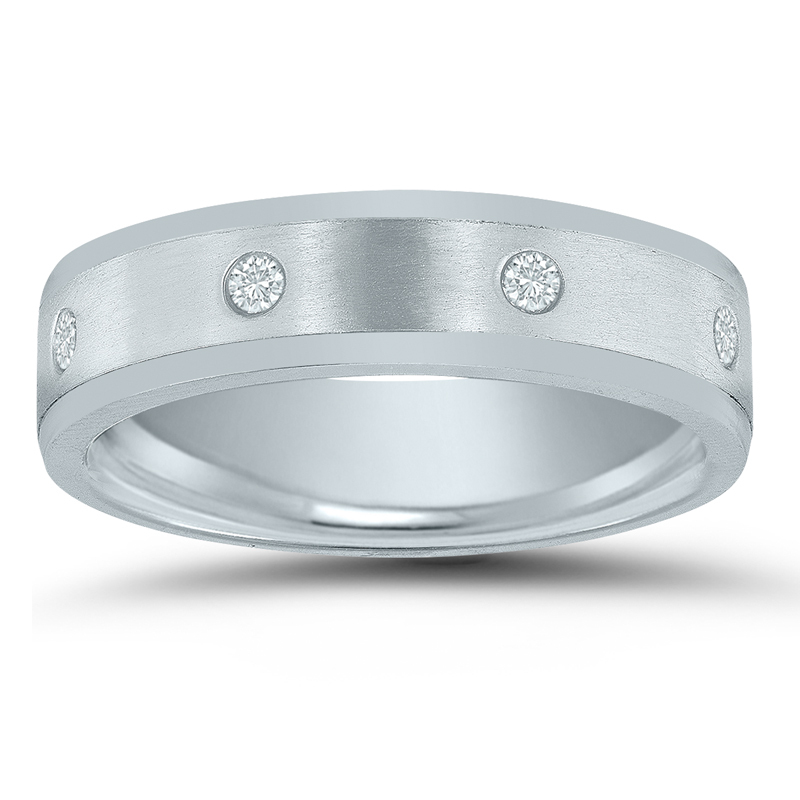 …YELLOW GOLD if you prefer a yellow color metal surrounding your diamond. 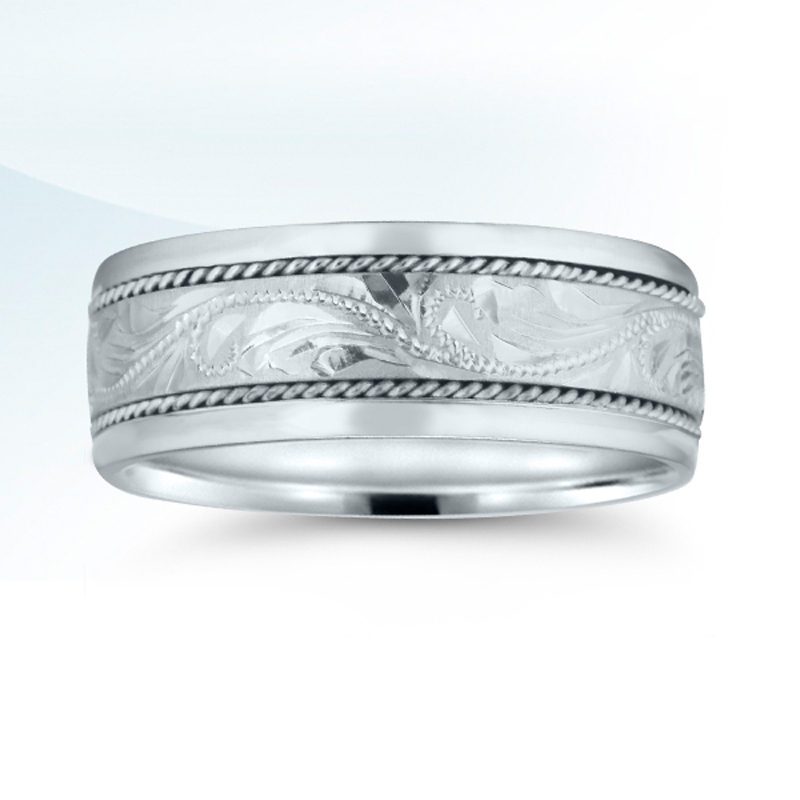 …WHITE GOLD if you prefer white color and don’t mind a ring that may lose its whiteness over time or due to wear. 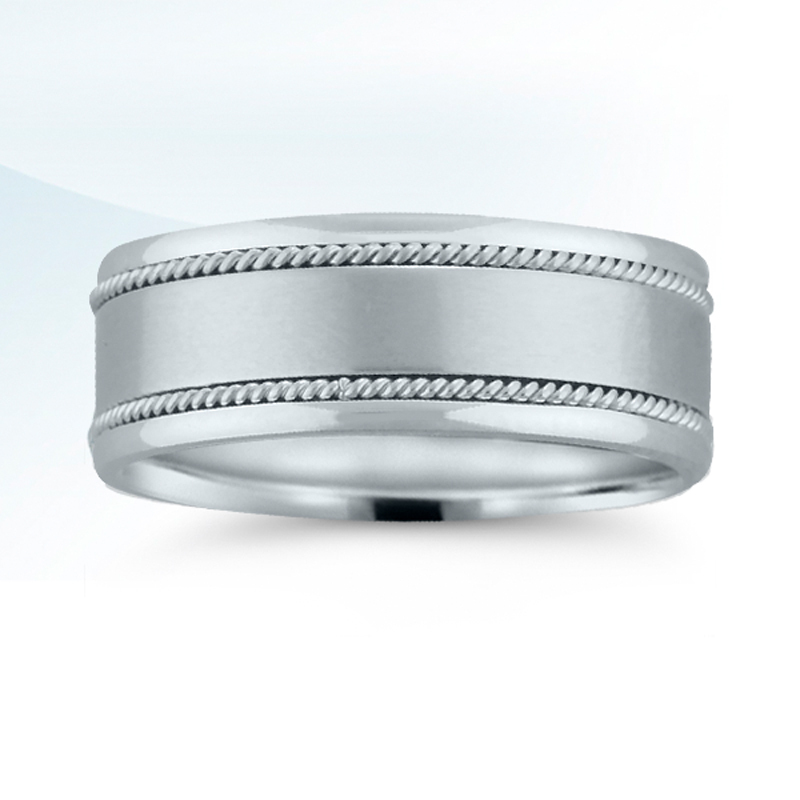 …PALLADIUM for a silvery white color that lasts, but is less treasured than platinum. 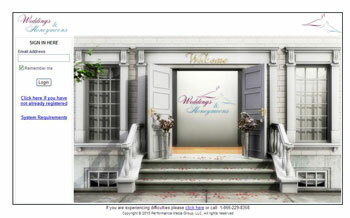 The Weddings and Honeymoons Online Bridal Expo. 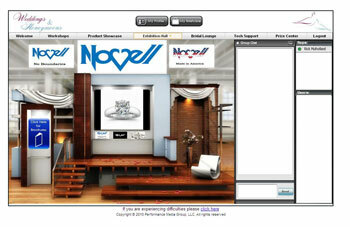 This past weekend, Novell participated in Weddings and Honeymoons’ Online Bridal Expo. While the first two days allowed for interactive conversations with future brides-to-be, this unique online bridal expo will remain available for viewing until July 31st, 2010. 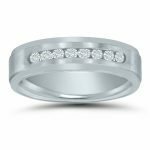 The Novell booth featured a few of our video brochures that show a wide variety of wedding bands and engagement rings, and there are also a couple of additional pamphlets that are available as a free PDF download. 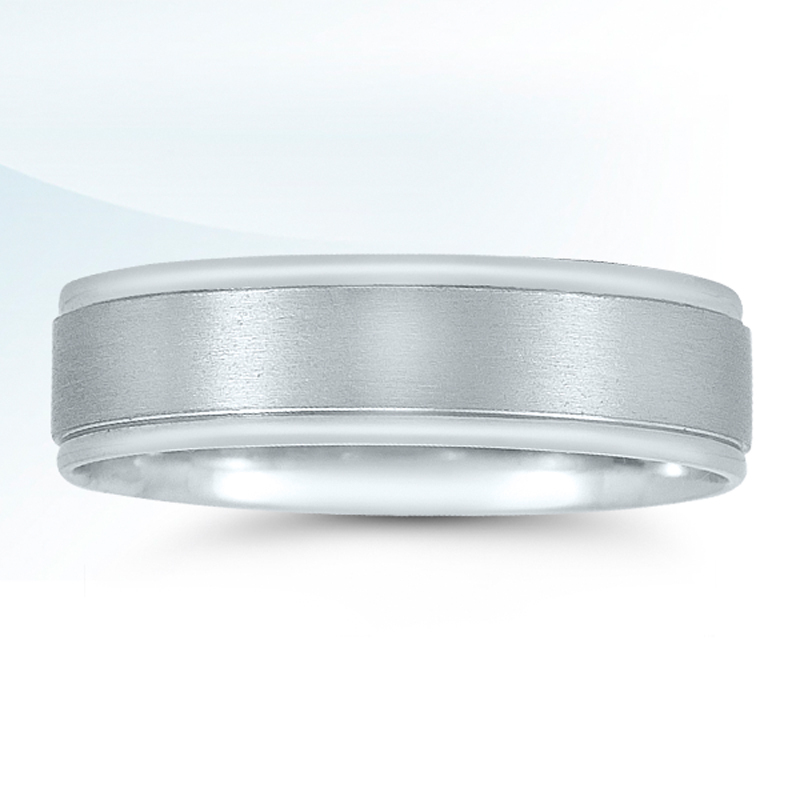 In particular, Novell offered the Choosing the Right Metal for Your Bridal Jewelry brochure, which helps the average consumer research the metals that are most commonly available for wedding bands and bridal jewelry in general – platinum, palladium, gold, tungsten and titanium. If you did not have a chance to visit the Weddings and Honeymoons Online Bridal Expo, sign up for free RIGHT HERE. It is definitely worth it! 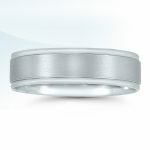 See Novell at Weddings and Honeymoons’ Online Bridal Expo. 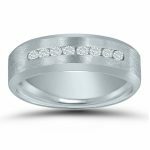 This weekend, a video and free brochure download about choosing the right metal for wedding bands, engagement rings and bridal jewelry will be made available at Weddings and Honeymoons’ Online Bridal Expo. This unique virtual event will be online May 1 and May 2nd from 11am until 3pm EST. 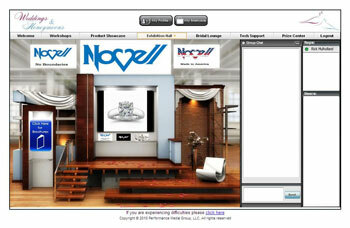 At Novell’s virtual bridal booth, consumers can view specially created video brochures featuring the company’s best selling wedding band and bridal jewelry designs. Registration for this online event is free, and all you need is a computer with broadband access, the ability to view Flash animation and Internet Explorer. Sign up for Weddings and Honeymoons’ Online Bridal Expo. 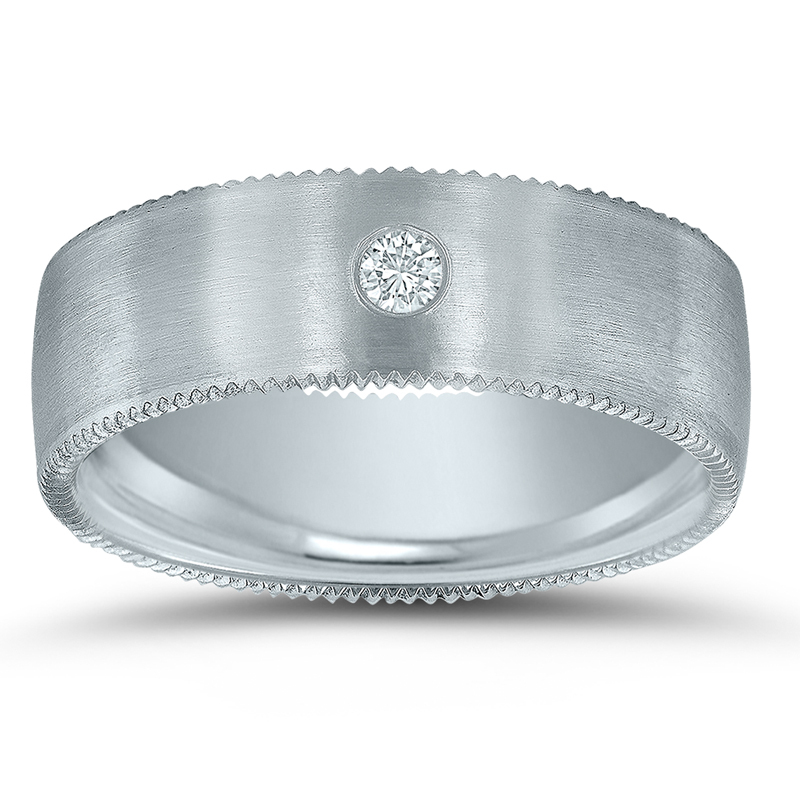 Choosing the right metal for your wedding band or wedding ring. 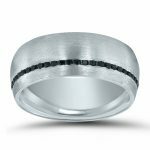 Today, there is a lot of confusing information about the metals that are commonly used for wedding bands and wedding rings – platinum, palladium, gold, tungsten and titanium. For this reason, Novell created a special PDF brochure and accompanying video (see below). 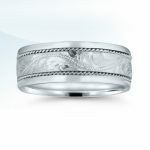 Choosing the Right Metal for Your Bridal Jewelry is designed to help the average consumer decide which metal will be the best choice for their wedding or engagement ring, as these rings are not only a symbol of love and celebration, but can also be assets to be treasured in the years ahead. This video’s soundtrack features “Center of My Heart,” a selection from composer Paul Schwartz’s latest album – State of Grace III. From modern pulsing rhythmic tracks to small acoustic ensembles and broadly orchestrated numbers, State of Grace III features a wide range of musical styles to mirror Novell’s ample array of wedding ring styles. 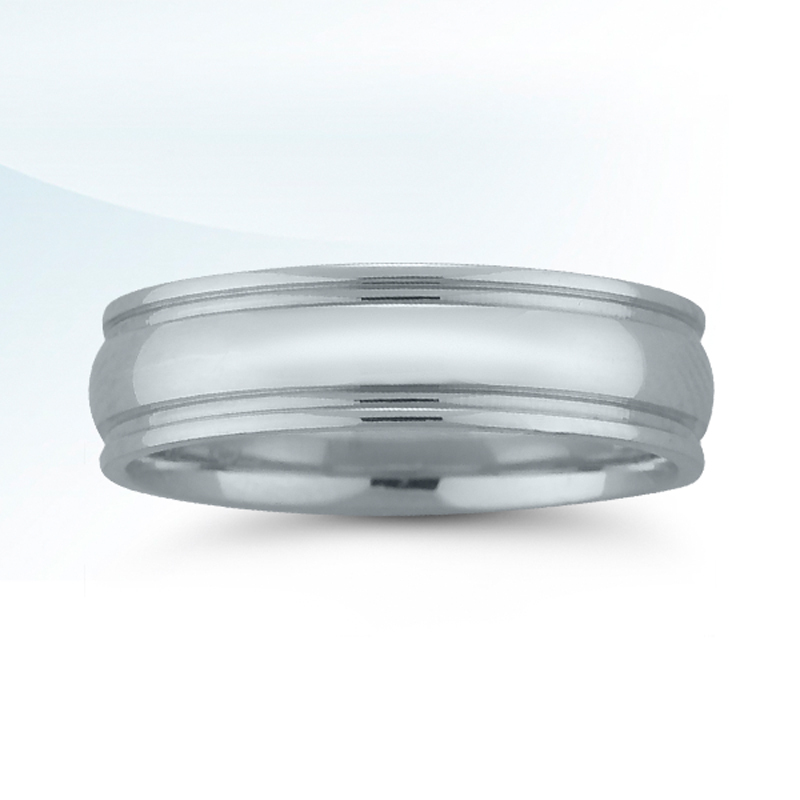 Almost all Novell wedding rings can be specially created wider, narrower, and in platinum, palladium or gold. Visit www.novelldesignstudio.com for more information. 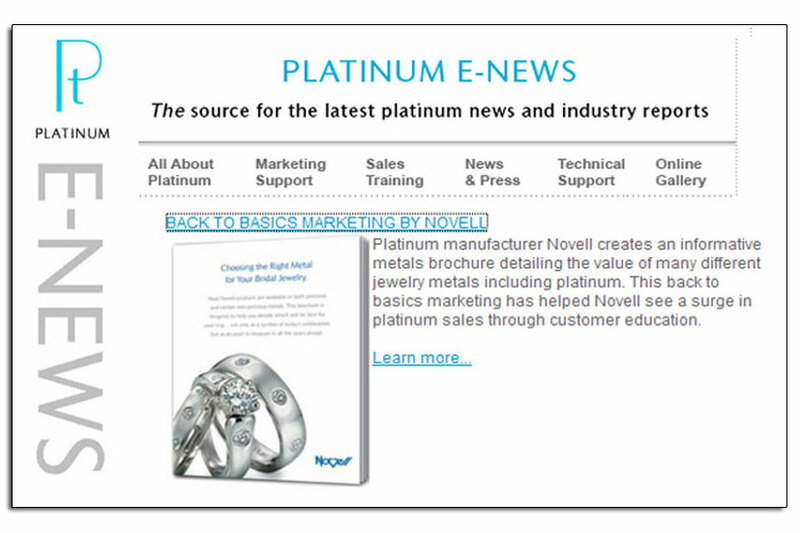 Back-to-basics marketing generates platinum sales for Novell. 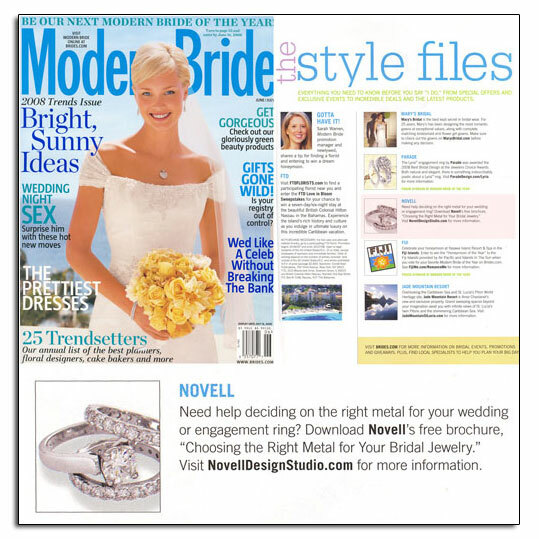 Platinum Guild’s August 2008 E-News newsletter featured Novell’s “Choosing the Right Metal for Your Bridal Jewelry” brochure. This literature is designed to help the average consumer decide which metal will be the best choice for their wedding band or engagement ring. 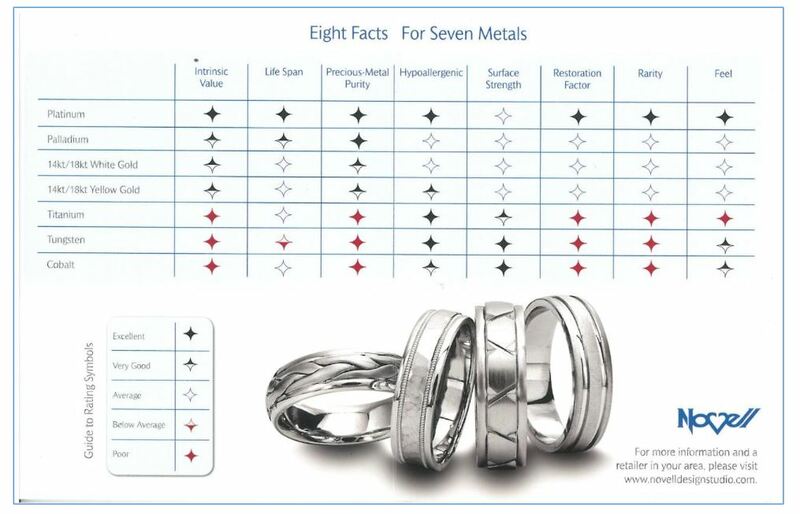 Retailers and consumers may download the brochure in a PDF format, or simply view the “Choosing the Right Metal…” video to learn the basic pros and cons of popular metals used for wedding rings – platinum, palladium, gold, tungsten and titanium. This brochure is also available via authorized Novell retailers throughout the United States. 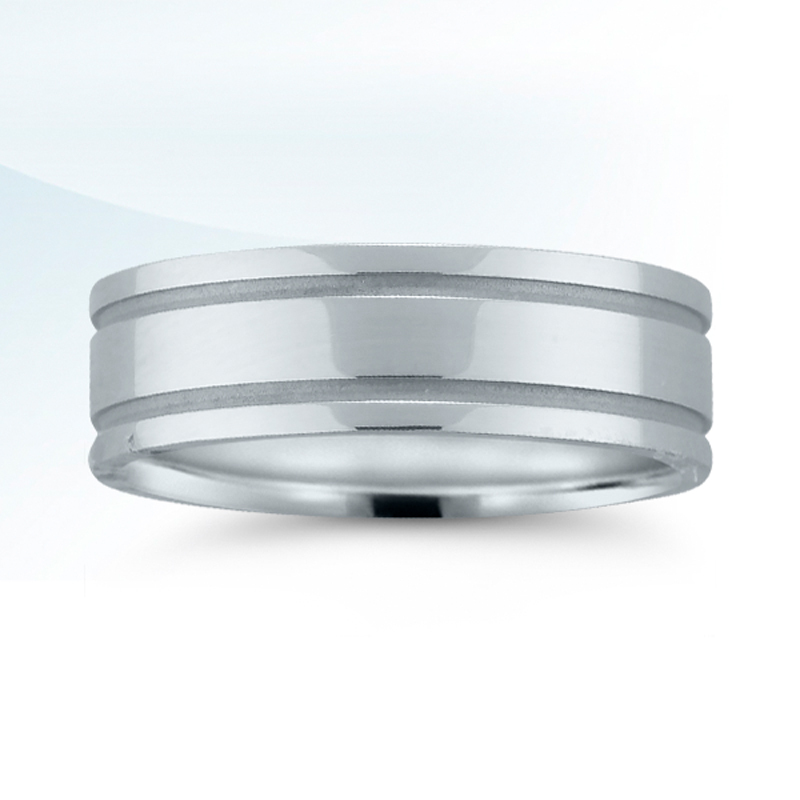 Novell's free brochure to help you choose the right metal for your wedding bands. 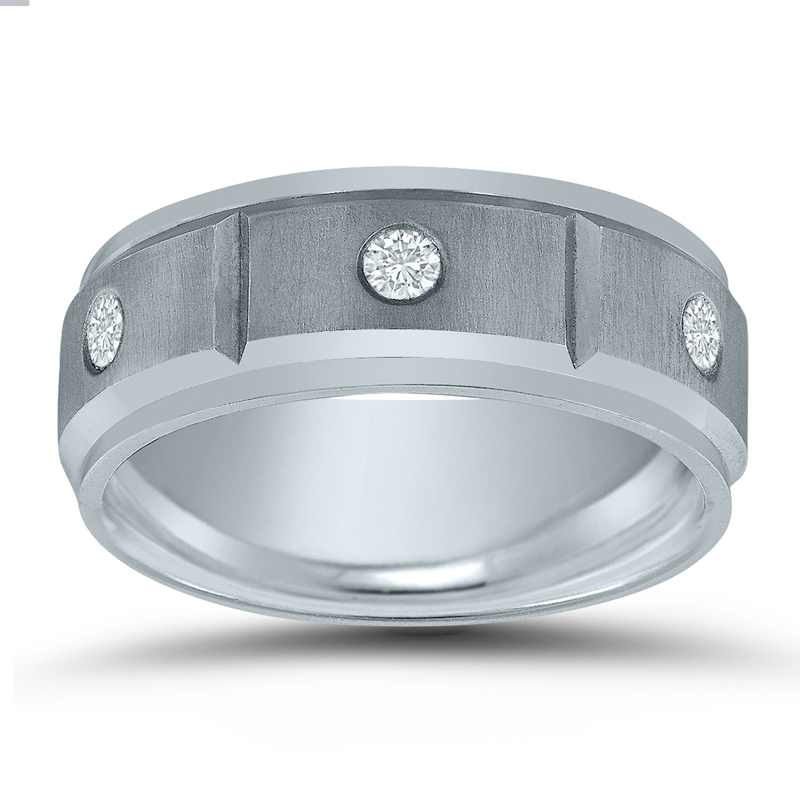 Helping consumers choose the right metal for their wedding bands. 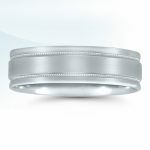 Novell Design Studio, a leading wedding band manufacturer which specializes in product customization, is proud to offer its latest brochure “Choosing the Right Metal for Your Bridal Jewelry.” This brochure is designed to help the average consumer decide which metal will be the best choice for their wedding band or engagement ring, as it is not only a symbol of love and celebration, but can also be an asset to be treasured in the years ahead. 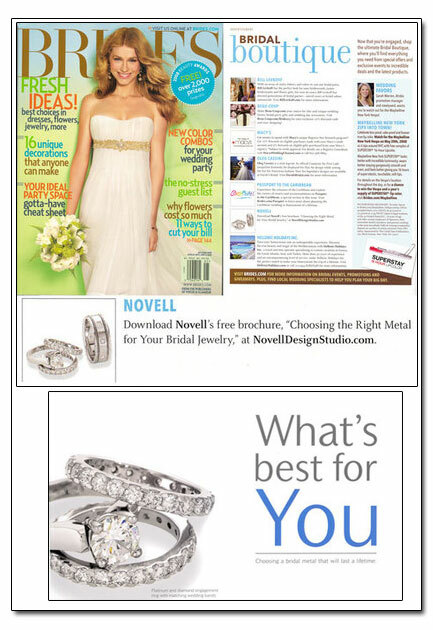 Novell has been distributing “Choosing the Right Metal for Your Bridal Jewelry” directly to consumers via placements in jewelry stores, as well as offering it as a PDF download on the Novell website. A video brochure has is also available on websites such as You Tube, Google Video, Yahoo Video and FindItt.com. Since being recently featured on Google News, Yahoo! News, and on several influential bridal blogs, thousands of consumers and retailers have taken advantage of the link to the PDF version. This method of distribution is a fantastic way to reach the broadest audience possible in a very efficient manner. 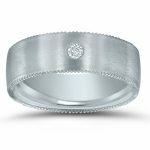 Choosing the Right Metal for Your Bridal Jewelry. 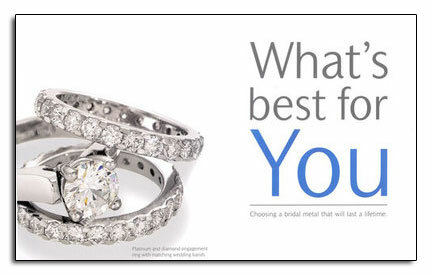 Novell has also recently released their latest brochure entitled “Choosing the Right Metal for Your Bridal Jewelry.” This literature is designed to help the average consumer decide which metal will be the best choice for their wedding band or engagement ring. 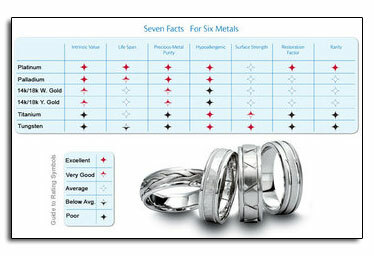 A chart to help you choose the right metal for your wedding band. Since being recently featured in both Google and Yahoo! News, thousands of consumers and retailers have quickly taken advantage of the link to the PDF version. This method of distribution has been a fantastic way to reach the broadest audience possible in a very efficient manner. 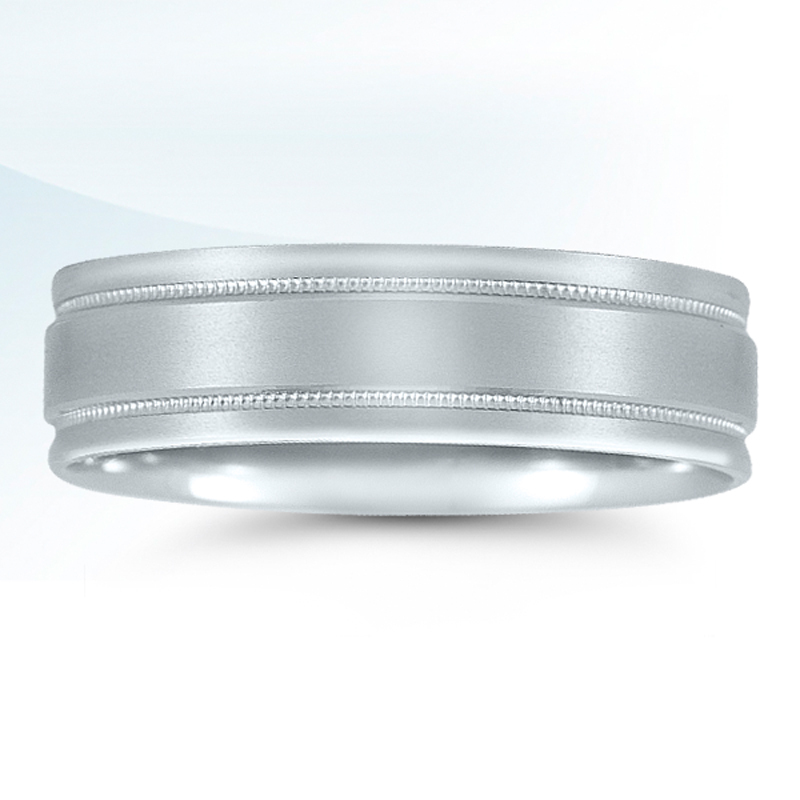 Feel free to visit the dedicated webpage for “Choosing the Right Metal for Your Bridal Jewelry” and download the brochure. Or view the video. Keep up to date with everything about Novell at the Novell News section on the official website. 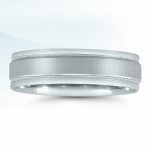 Wedding ring video featured on With This Ring. 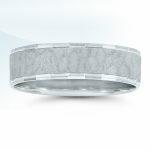 With This Ring, a blog dedicated to wedding trends and suggestions, featured Novell’s video based on the “Choosing the Right Metal for Your Bridal Jewelry” brochure . 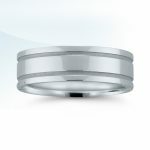 The “Choosing the Right Metal for Your Bridal Jewelry” brochure and video have also been featured on Trans World News, FindIttVideo.com and Google News. 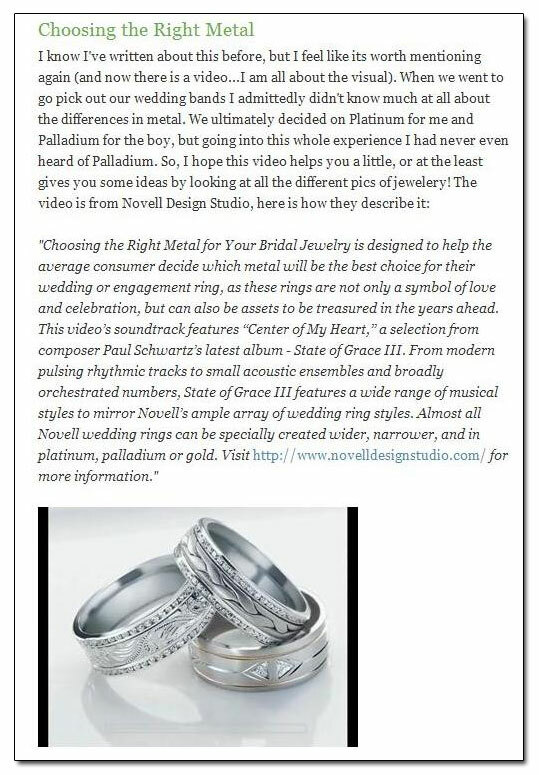 With This Ring bridal blog highlighted Novell's "Choosing the Right Metal for Your Bridal Jewelry" video and brochure. 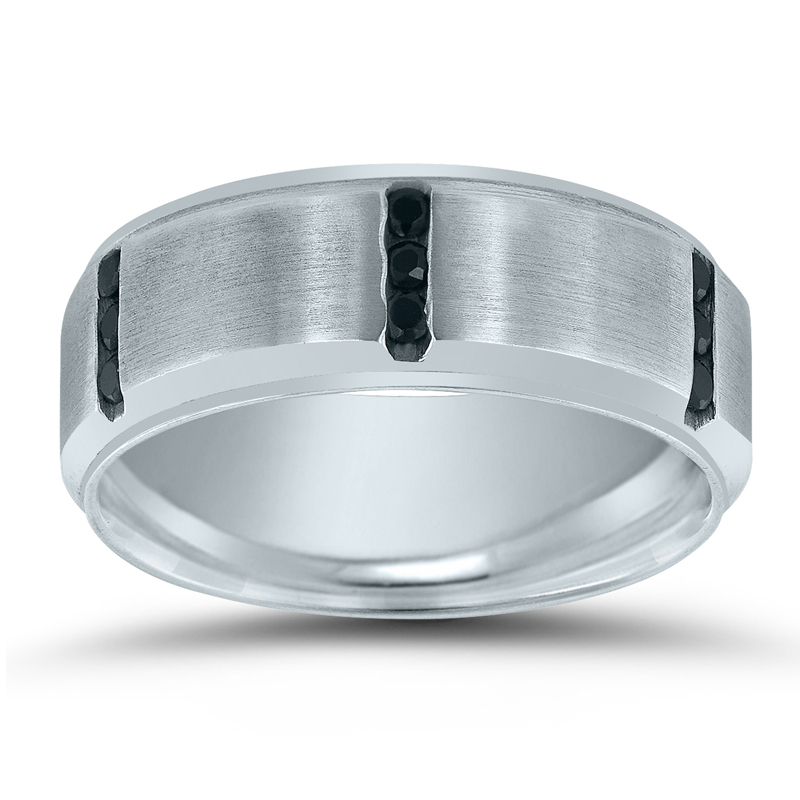 Wedding band video for “Choosing The Right Metal” brochure. 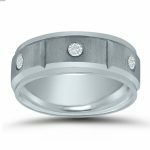 “Choosing the Right Metal for Your Bridal Jewelry” is designed to help the average consumer decide which metal will be the best choice for their wedding band or engagement ring, as these rings are not only a symbol of love and celebration, but can also be assets to be treasured in the years ahead. The video soundtrack features “Center of My Heart,” a track from the latest album by composer Paul Schwartz – State of Grace III. 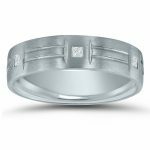 From modern pulsing rhythmic tracks to small acoustic ensembles and broadly orchestrated numbers, State of Grace III features a wide range of musical styles to mirror Novell’s ample array of wedding band styles. 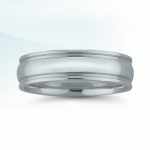 Visit www.novelldesignstudio.com for more information and ideas. “Choosing The Right Metal” brochure featured in Elegant Bride. 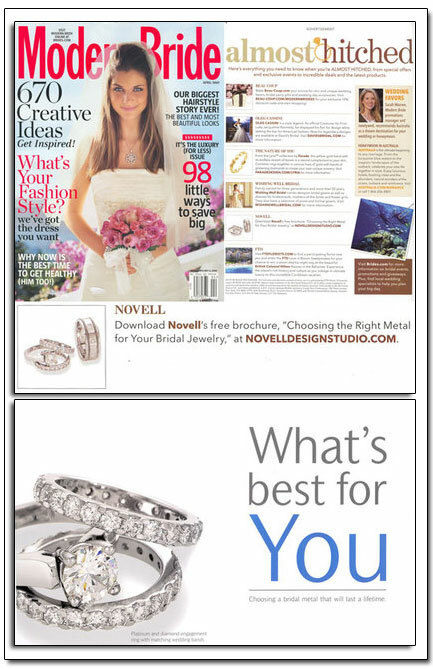 The Spring 2008 issue of Elegant Bride magazine highlighted Novell’s latest brochure – “Choosing the Right Metal for Your Bridal Jewelry.” This brochure is designed to help the average consumer decide which metal will be the best choice for their wedding band or engagement ring. Helpful metal brochure featured on key wedding blogs. 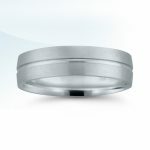 – Rick from Novell sent me a link to their Choosing Your Metal guide, which compares attributes like intrinsic value and life span of 6 of the most popular wedding band metals. 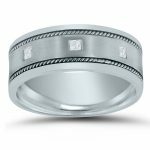 If you are debating which metal to choose for your wedding rings, it is definitely worth a read! – We are about to start the search for wedding bands and have been doing some preliminary internet searching to determine what exactly we want. 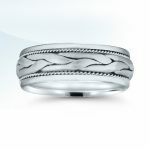 Mine is easy, my ring was designed for a matching band, but B is facing a lot of choices. When we started searching I was really surprised to find out that the price of platinum has increased dramatically…from mid-December 2007 to the beginning of this week the price of platinum has risen by $800.00 an ounce! ? – What does a man want? Hopefully, your groom is pretty low-key. 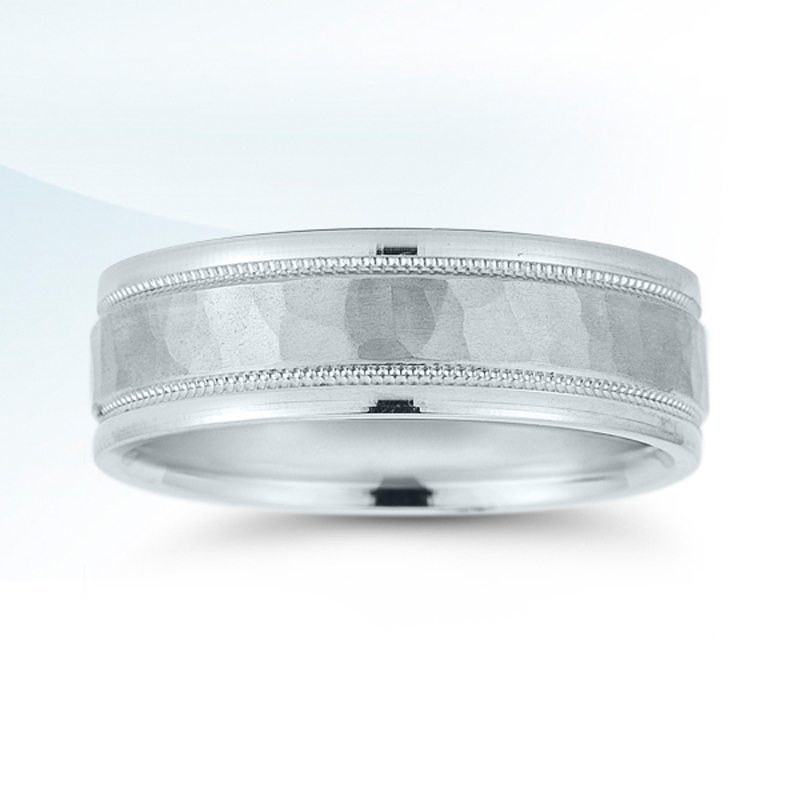 If so, then here are some gorgeous wedding band options from Novell Design Studio. I have seen a lot of bands for men and always see the same old thing. But these designs are definitely different. 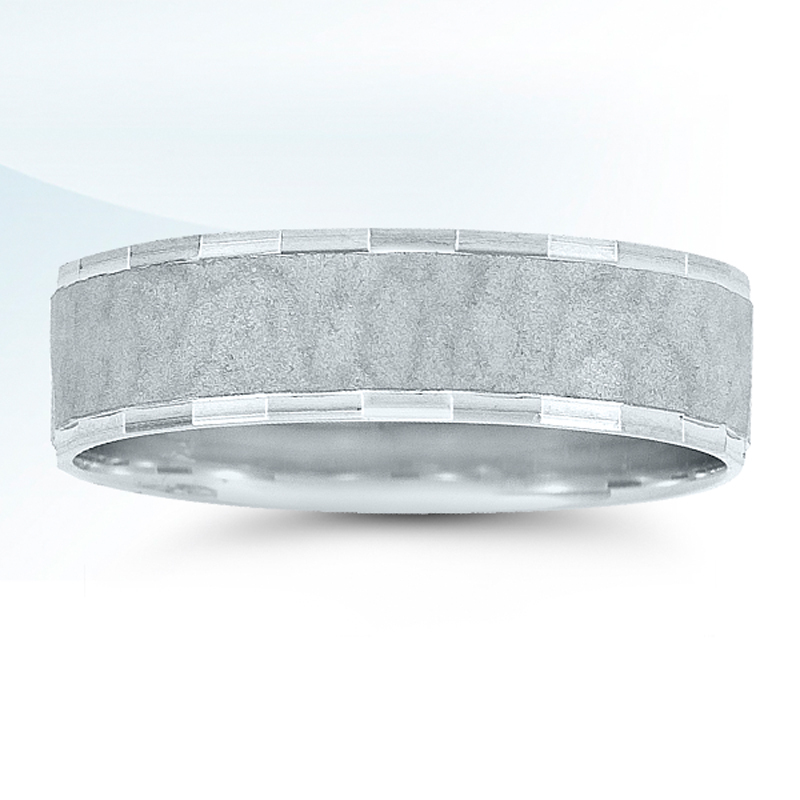 Novell can create rings to your specifications. 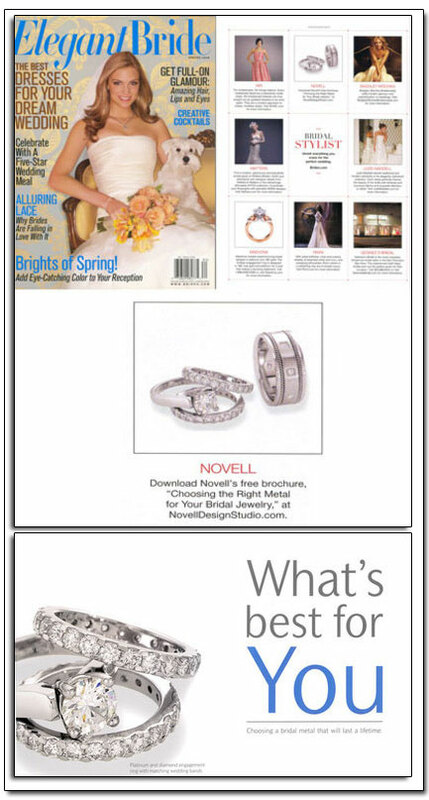 Novell is proud to offer our latest brochure “Choosing the Right Metal for Your Bridal Jewelry” as a free download. 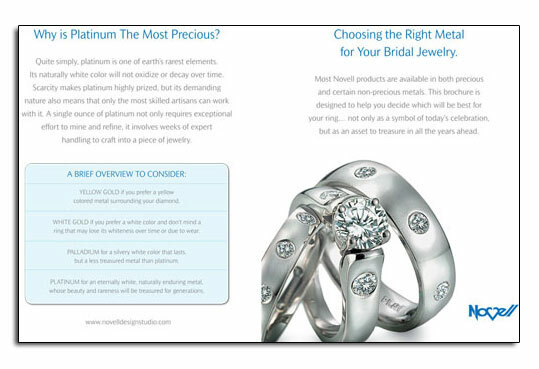 This brochure was created to help consumers choose the right metal for their engagement ring or wedding band purchase. 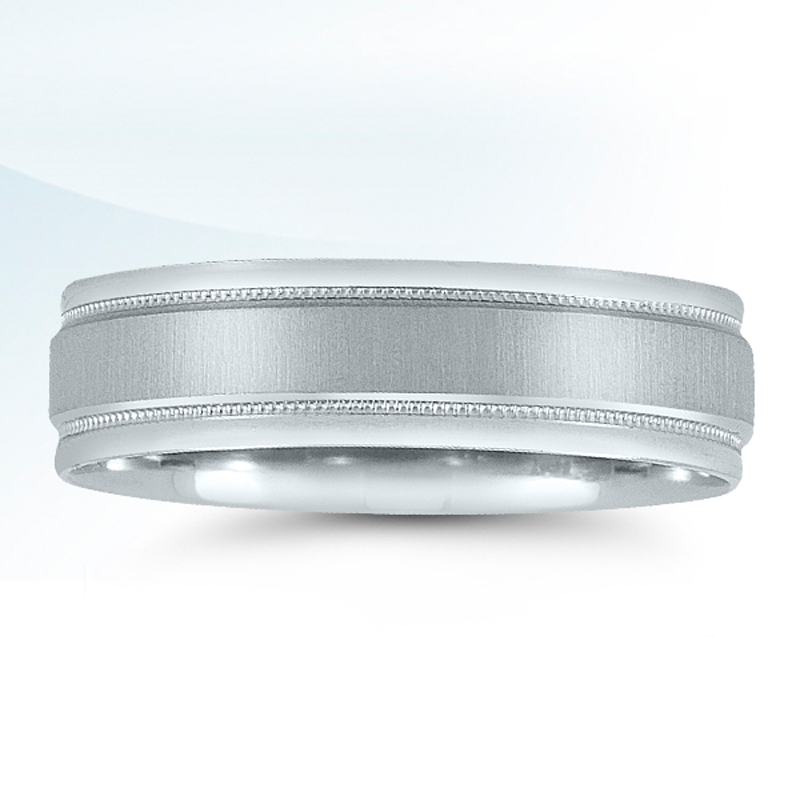 Download “Choosing the Right Metal for Your Bridal Jewelry“.